The C.A.P. 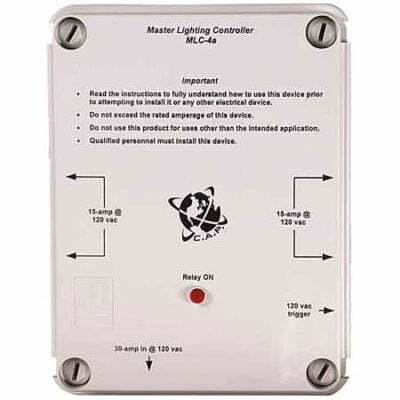 MLC-4X and MLC-4XT Master Lighting Controllers are the best devices for controlling up to four HID lights from one time-clock or controller. 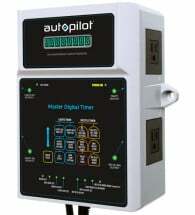 You run 30 amp, 120/ 240 volt power into the MLC-4, and all of the outlets are controlled by one 120 volt trigger cable. 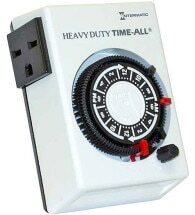 You can plug the trigger cable into a standard 24 hour timer, environmental controller or one of the C.A.P. HLC series of garden and lighting protection devices. 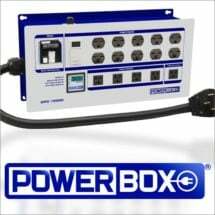 The MLC-4X and MLC-4XT has four 120/ 240 volt style outlets which allows for running your ballasts at 120/240 volts without having to change out your ballast power cords. 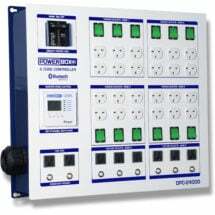 The MLC-4XT has an integrated timer that allows you to control your MLC with the built-in time clock. 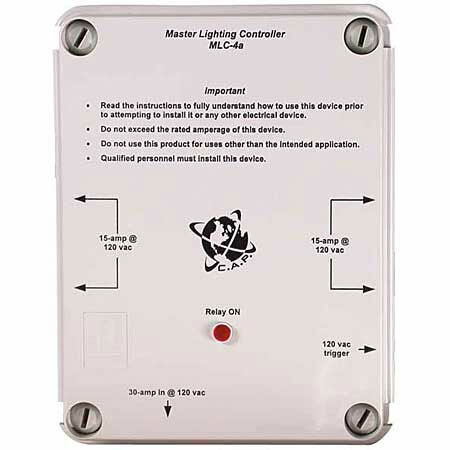 The MLC-4X’s are rated for 30 amps @ 120/ 240 volts. Includes a 5-year manufacturer’s no hassle warranty. Made in the USA.